Fix the image of a dandelion in your imagination. 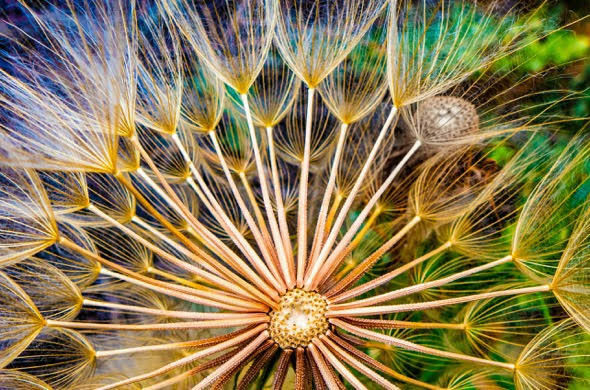 How many of us have ever taken the time to witness the miracle of a dandelion? Now imagine the bare head of the flower after the winds have blown all the seeds away. It is indeed a grim image. Having stripped the flower of its crown, it would be easy to believe the winds have won. But Nature is a model of resourcefulness and within a very short time, that one flower, tossed by the winds, will transform into millions of shining orbs of yellow; literally creating a field of gold. We, as creatures of that same nature, have the capacity to do likewise. The Dandelion Project is our way forward in creating sustainable, energy alternatives in low-income or underserved communities. Keeper of the Mountains Foundation is dedicating our time and energy into being the change we wish to see. Our first project begins in Las Marias, Puerto Rico with Plenitud PR, a non-profit offering education with farming, community service, and sustainability. They encourage inner growth and to live in harmony with themselves, each other, and the natural world. Help us bring our dream into reality. Be a helping hand in sustaining our planet. Donate today!